Only Owners are allowed to have pets on property. 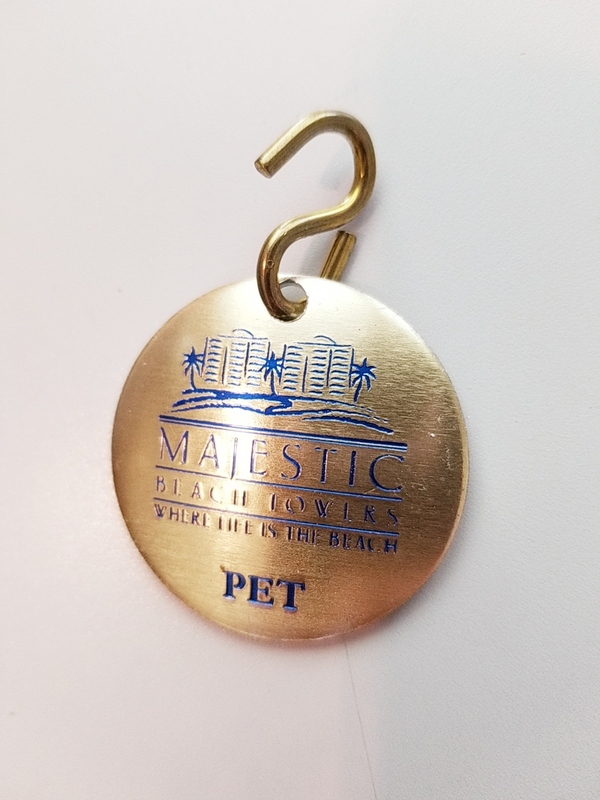 Owner Dog Tags can be purchased for $5.00 each. The first two car decals are free. You will receive an additional two decals for $5.00 a piece. Additional decals (after four) are $50.00 a piece. If you sell your car or it is totaled in an accident, you may purchase a new decal for $5.00, after the old decal is returned or decal number is provided. Upon the purchase of a condo, you will receive your first set of armbands for free. The amount provided is according to the number of bedrooms in your unit. Additional tags can be purchased for $5.00 each. 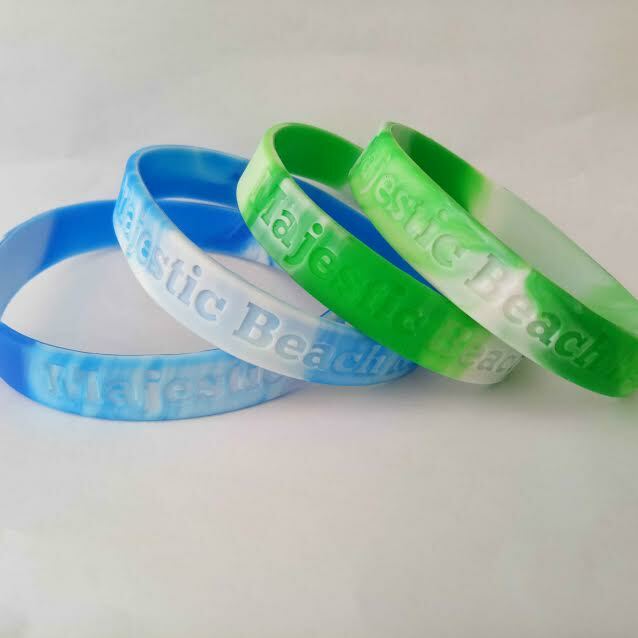 Guest armbands are $5.00 apiece. Owners are responsible for issuing guest armbands. 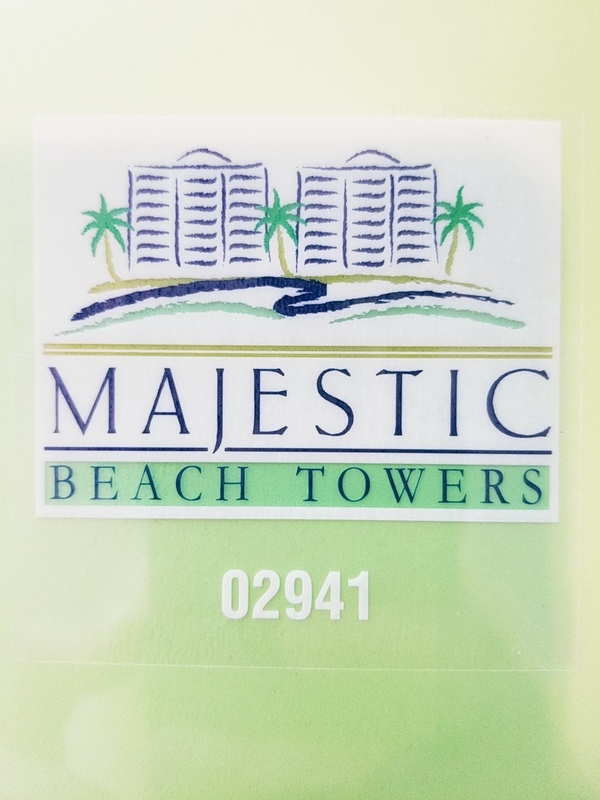 Owner Services is not allowed to issue guest armbands to anyone other than the owner. Guest parking passes are $10.00 apiece. These passes should not be issued for more than one month at a time, or the length of the guests stay, whichever is shorter. 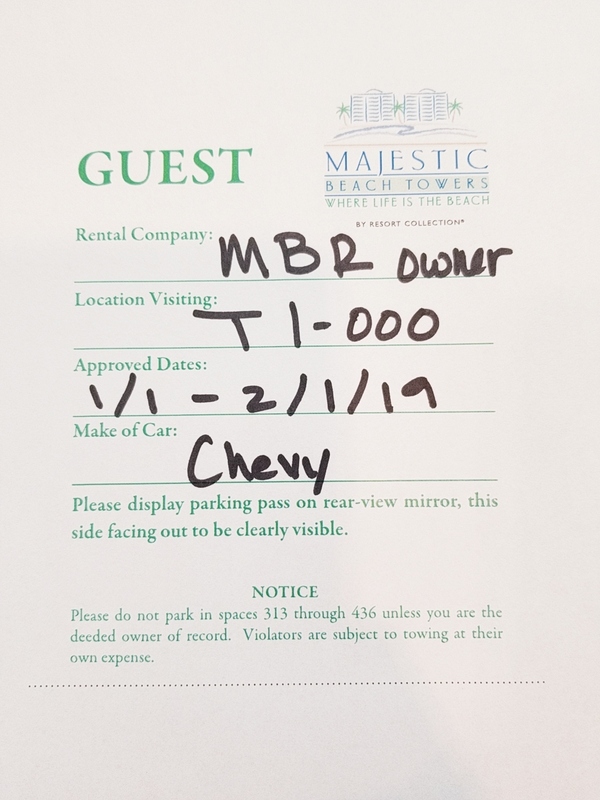 Owner Services does not issue passes to rental guests, this is the owner’s responsibility.